[color=white]Rob Note: I will be posting these PRE-PRODUCTION THREADS so we can create a cohesive vision of this universe. [/color] Good research will be key for the pieces created for this challenge. We will attempt with this challenge to recreate the spirit of adventure of a movie serial of the 1930’s & 40’s. This is a fashion editorial from the July issue of Harper’s Bazaar which I find quite appropriate for this thread. Google’s LIFE Magazine photo archive is a gold mine for vintage material. Slow but it appears to have everyone. as bad as the movie was “Sky Captain and the World of Tomorrow” is what we’re shooting for? or something along those lines? Actuall it is a good idea. Which is an excellent site for hi-res images of movie stills and stars, mainly from the Golden Age. Which is a Republic serial and very appropriate. You can download or watch online public domain material from Archive.org including many Flash Gordon episodes. 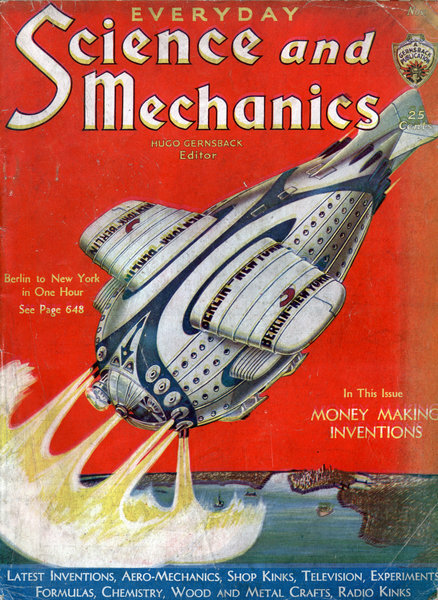 The ‘making of’ for Sky Captain mentions a few main influences and the biggest one is Hugh Ferriss. From what I’ve read about the guy he is largely responsible for inventing the stylized architecture showcased in Sky Captain. Mostly in his renditions of New York that eventually lead to the Empire State Building.